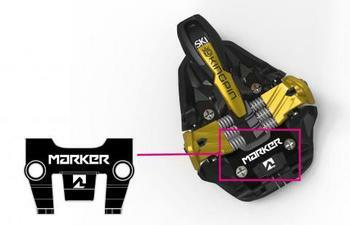 Marker USA of Lebanon, N.H., is recalling about 43,000 Kingpin 10 and Kingpin 13 alpine touring ski bindings sold in the U.S and Canada. This recall involves 2017-2018 Kingpin models 10 and 13 ski binding, with a black body and gold or copper accent coloring. The bindings are used with alpine touring ski boots with metal pintech inserts in the toe of each boot. The recalled toe units have heel units with serial numbers on the back in the following ranges: Kingpin 10 (337804 – 418632) and Kingpin 13 (337798 – 411728). The ski bindings, manufactured in the Czech Republic, were sold at specialty ski and backcountry equipment stores nationwide and online at evo.com, backcountry.com, and theskimonster.com from March 2017, through April 2018, for between $500 and $650. Consumers may contact Marker USA at (800) 453-3862 from 8:30 a.m. – 5 p.m. (ET), by email at kingpin.exchange@mdv-usa.com or online at https://www.marker.net/en-us/ and click on More Info in the recall section for more information.